Fares for return flights between Europe and Nepal start at ca. Day 07: Jharana – Phoksundo Lake. Day 13: Namgung - Saldang (3900 m). Day 14: Saldang - Yangser - Nyisal (3800 m). Day 16: Musi – Shimen (3925 m). Day 18:Thingkiyu - Shela La B.C. Dolpo became known to the West when the Tibetologists Giuseppe Tucci and David Snellgrove published accounts of their journeys across Dolpo in the mid-1950s. Two decades later, the zoologist George Schaller obtained special permission to enter Dolpo to study the Himalayan blue sheep; accompanied by the author Peter Matthiessen who was searching for the legendary snow leopard. 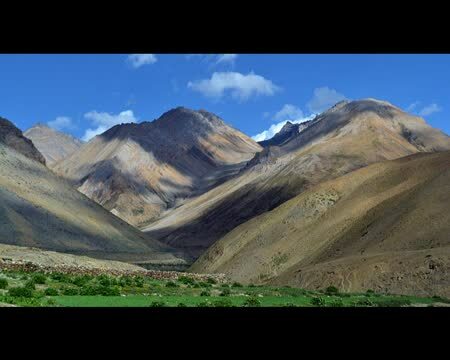 Located on the Tibetan Plateau in the rain shadow of 8000 peaks (which allows trekking during monsoon), this region is geographically cut off from the rest of the country by a barrier of high mountains, deep gorges and dense forests. Outside visitors to Dolpo have been few in number because of complicated logistics, a challenging topography, or government restrictions. Dolpo Special leads the trekker through one of the most amazing areas in Nepal.